"INFRA SLOW FLUCTUATION NEUROFEEDBACK IS THE KEY"
The activity in your brain determines everything you feel and do. While most people have normal brain function, they still have brain imbalances or chronic emotions that affect their day to day life. This is where neurofeedback can help. Neurofeedback is a way to train brain activity; it is biofeedback for the brain. 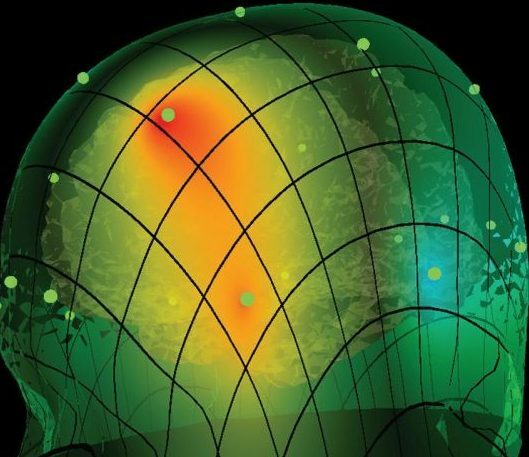 To understand neurofeedback, first we need to understand a little about brainwaves. Brainwaves are the electrical impulses produced as your brain cells communicate with one another. Brainwaves tell us a great deal about how you feel and function; your thought habits, stress levels, underlying mood and overall brain function. Using sensors on the scalp, we can measure and monitor this activity. With brain analysis software (QEEG brain map), we can identify what specific activity is giving rise to your symptoms. Once we know the areas of concern, we can create a training plan to help draw your brain into a comfortable, efficient state. That brings us to neurofeedback. During a neurofeedback session, we compare what your brain is actually doing to what you'd like it to be doing. When your brain is nearing a more comfortable state, you are rewarded with a positive response on a computer screen. Usually this ‘neuro-feedback’ is in the form of a video game, music, or movie. The sounds and images tell you immediately when your brain approaches a more efficient place and when not. When the movie plays, it is because your brain is approaching the desired state. When the movie stops, it is because your brain is heading the other way. Much like physical exercises develop specific muscles, the more your brain is exercised into reaching a more comfortable, more efficient position, the better it gets at it (see neuroplasticity). As with learning any new skill, it simply requires time and repetition. In 2007, we began our neurofeedback practice with a trademark system. We soon moved to EEG neurofeedback to expand our capabilities, and adopted 19 sensor 3D neurofeedback shortly after its release in 2011. As clincians, we are delighted with it. Our clients are too. 3D Neurofeedback expands on the capabilities of surface neurofeedback with a full range of new advances, using the next generation of 3D brain imaging and training tools. In the hands of a skilled clinician, it is the ultimate brain training toolkit. Using a full 19 sensor cap, the clinician is able to train any number of areas together (as opposed to individual surface areas with the more common 2 sensor neurofeedback). By using a medical research database (Z-score) and deep brain source imaging (LoRETA), 3D neurofeedback can directly train entire brain networks; targeting overall electrical activity (amplitude), brain connectivity (coherence), processing speed (phase), and more. This is made possible by more advanced imaging capability – if you can detect it, you can train it. Better imaging equals better results. Better targeting means better reliability. Training multiple areas at once means less sessions. For clinicians, being able to see exactly what is going on over the entire brain at all times is a real advantage, and by integrating research software the clinician can map, track, and keep the training entirely up to date. 3D neurofeedback takes more skill and experience to operate, and the equipment required runs at a good twenty times the cost of basic equipment. Hence, sessions usually cost about a third more than for traditional neurofeedback – however one requires far fewer sessions to see results.